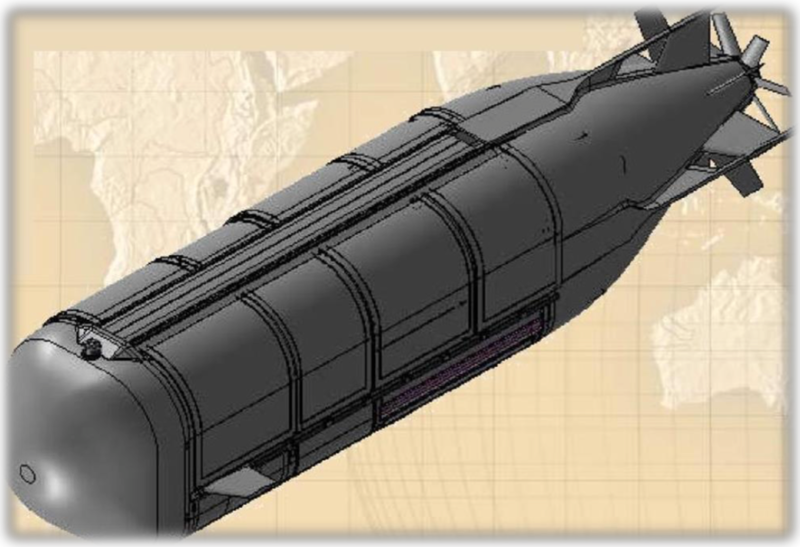 SubSea Electric Propulsion Modules are designed to be used on a manned submersible vehicle. The Drive System consists of brushless motors, feedback devices and control electronics housed to permit submerged operation in water. The unit uses dual redundant (2) motors on a common shaft, two feedback devices and two sets of Motor Controls, sensors and electronics in a single integrated housing – complete “get home capability”. The unit will accept nominal 150-300 Vdc input power and a speed control command to provide shaft output at the commanded rotational speed. Dual Propeller - Counter Rotating Propulsion Modules for Stealth “Silent” Operation. The motor controller and amplifiers will interface with the Operators Main Control System to control the shaft speed. The Operator provides a speed command to the Motor Controller/amplifiers. The system is configured such that should one motor or controller fail, the unit shall remain functional with reduced available shaft power. Approximately 18% more thrust and ...the counter rotation design assures that no gyroscopic moments are transferred to the vehicle. Very fast response times are assured with "Silent and Vibration Free Operation”.